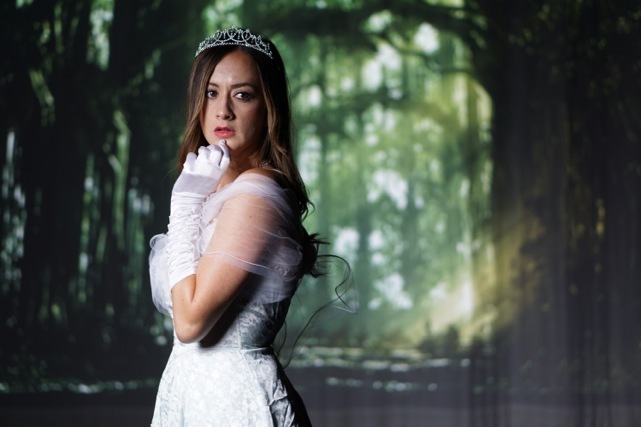 The summer theatre season has started off with a bang with Into the Woods on stage at the Selma Arts Center until June 27. 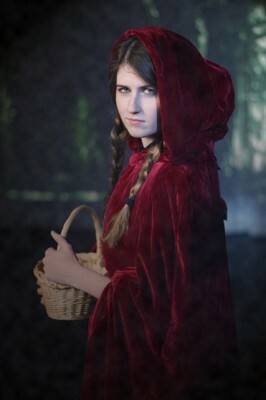 Into the Woods is a Sondheim musical featuring several familiar fairytale characters. The musical intertwines the plots of several Brothers Grimm fairytales, exploring the consequences of the characters’ wishes and quests. This plot has a definite dark side in Act Two, unlike Disney versions of the fairytales. The story focuses a lot on The Baker and his wife who desperately want a child. The Witch tells them she will lift the curse she put on the Baker’s family that prevents them from having children if they find certain items for her. As we follow their quest, we also meet Jack from Jack in the Beanstalk, Little Red Riding Hood on her way to visit Grandma, Rapunzel, and Cinderella as she goes to the ball and runs from her prince. We also meet Cinderella and Rapunzel’s princes as they try to find a way to be with their loves. Other characters include the Wolf, Jack’s mother, Red’s Grandma, the cow, the prince’s steward, the Narrator, and Cinderella’s stepfamily, mother, and father. If you love fairytales with a darker twist, a nice touch of comedy, and some beautiful and fun songs, don’t miss Into the Woods in Selma. The cast and crew have done a good job of putting together this difficult show. Nicolette Anderson and Juan Guzman take on the very difficult task of not only directing the show, but also playing the Baker and his Wife	. However, be aware that while it is a story filled with fairytales, the dark nature of the second act makes it not an appropriate show for young children, but definitely a fun show for everyone else! 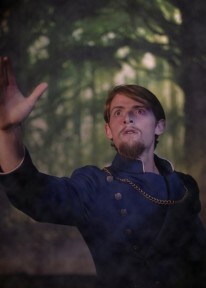 Into the Woods is at the Selma Arts Center 1935 High Street, Selma, California. Tickets can be purchased at www.tickettomato.com and you can find more info on KRL’s theatre event page.